This installment of our Branch Feature series highlights one of our South Carolina offices. Located in Irmo and servicing the surrounding area, PBFS Columbia has steadily grown since its establishment thanks to the hard and loyal work of its staff and technicians. This humble branch was founded in a storage building in 2003 completely from scratch, without a single established customer and with only one man to serve as manager and technician. Slowly, through sales efforts and word of mouth, the office started to gain customers. As business grew, so did the team. Ross Branham was hired in July 2004 as a portables technician and still remains today. Dennis McCall was hired in August 2006 to lead the installation of suppression systems and is still part of the team. Soon afterwards, the branch moved from the storage building into a small office where they remain today. In 2010, the branch hired a sales manager, Todd Moose, who helped the business continue to grow. By this time Pye-Barker was becoming an established name in the surrounding area, and PBFS Columbia was gaining respect and attention. In 2014, the branch added two more employees that were essential to maintaining operations as growth continued: Paul Davis joined the team to direct the sprinkler division while Lory Aun was hired as office manager. Recently they were also able to add a fire alarm tech, making the location a full service fire protection provider. “We take great pride in our team for our growth and ability to come together in a timely manner for our customers,” shared office manager, Lory Aun. Their reputation in the surrounding markets proves that their customers appreciate it. Future plans for the office include moving to a larger facility within the year, to accommodate and encourage the location’s continued growth and expanding customer base. 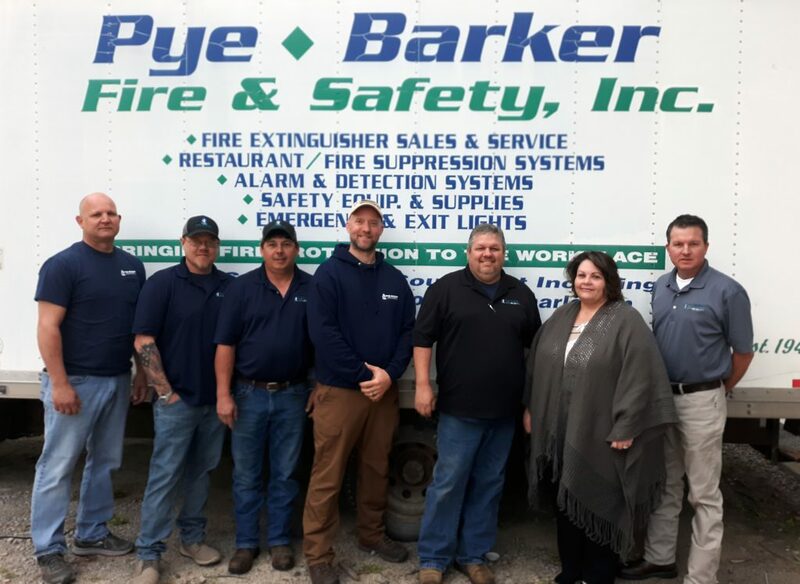 Pye-Barker is proud to have this reliable and industrious office protecting the Midlands region of South Carolina, and we look forward to watching their potential continue to unfold. Amazing story and great work, PBFS Columbia!